One of my favourite meals after a morning workout is Oatmeal And Blueberries. This is mostly a carb loaded meal and again, the only time I would eat it would be right after a workout. The way I'd prepare this very quick meal was simply mixed together and eating it. No cooking. Just let the oats soak in milk for a little and viola, breakfast is served. One thing I do realize is that steel cut oats is WAY better than instant oats, but this breakfast idea is quick. 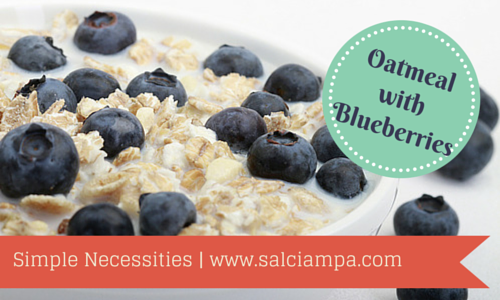 If you can find quick steel cut oats, then use them!